Like many artists, Mark Rothko was many people. He was the European emigre enjoying a better life in America; he was the impoverished adolescent from a political family who met anarchist Emma Goldman; and he was the young anarchist who studied at Yale. He repudiated abstraction and colour field, yet became known as the most famous of abstract artists and colour field painters. 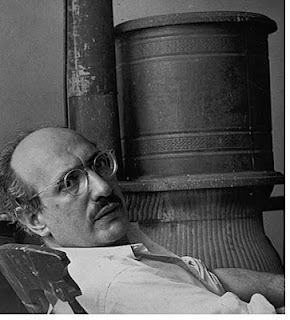 Rothko was born in Russia and migrated to the US with his family in 1913. After leaving Yale he studied art in New York where he lived like most young artists, on very little, and in the 1930s began showing in New York galleries. His works of the late 1930s and early 1940s delved into mythology and symbology, typified by pieces such as The Omen of the Eagle (1942). During the latter 1940s he evolved his best-known painting style, of large-scale blocks of colour stacked upon each other, usually sombre in tone, which to some viewers represented an emotional landscape, while to others they were more “apocalyptic wallpaper”. He eschewed titling works for the most part, as well as explanation, allowing viewers their own reactions to his work. Strangely enough though, he gained most attention though for a work he did not do. In 1959 he had been commissioned to create a set of large-scale murals for the new Four Seasons restaurant in the Seagram Building on Park Avenue in New York. The epitome of high modernist urban block design, by Ludwig Mies van der Rohe, the dark monolithic skyscraper had only just opened, and the Four Seasons was being touted as the city’s most lavish new eating house and playpen for the rich. Whatever the case, Rothko decided against handing over the murals, and gave back the money - $35,000, a very large sum for almost any artist, then and now. He went on to be one of the most collected of the painters of the 1950s and 1960s, in major collections in the US, Britain and Europe, and the paintings he did for the Four Seasons now hang in London’s Tate Modern, having arrived, eerily enough, on the day of his suicide, in 1970. He was found dead in a pool of blood on the floor of his Bowery studio, having hacked deep into his arms and shoulders with his paint knife. It was remarked at the time that the sombre, dark red pool of blood in which he lay, approximately six feet by eight, was in some ways akin to one of his own canvases, a colour field. 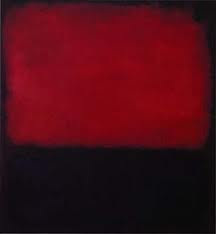 Rothko might have repudiated that too, but he might not have resiled from the notion of its being his last work of art. 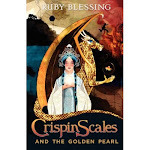 While it has been argued that Italian masters took grubby money from Medicis and popes without its hurting them or their work, the contradictions for Rothko of his Four Seasons experience may have been too much for the one-time anarchist and lifelong leftist who once met Emma Goldman. 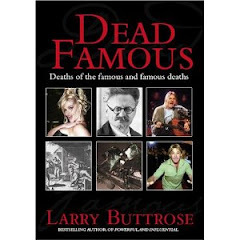 From my book Dead Famous: Deaths of the Famous and Famous Deaths. Thanks for writing this. It's interesting and well-written. Not to appear picky or gory, but Rothko did not use his paint knife when he committed suicide. He cut into his inner arms at the elbow with a razor blade wrapped in a tissue and also took an overdose of antidepressants according to James E.B. Breslin's biography. A tragic end to a brilliant life. Suicide is always so sad.